Inside Youth Sports: Focus on the Target! By focusing your eyes on a target, you engage your mind’s visuospatial ability. (Visuospatial is the perception of the spatial relationships among objects within the field of vision.) You know when and where the ball, person, or other object will be. And in turn, this triggers the appropriate physical response. With practice, you swing a bat at the right time in the right place. You put your hands or glove where the ball will arrive. If you’re shooting, you apply the precise amount of force in the right direction to get the ball to and in the goal. So how does this “targeting” process work and how can you improve it? You may believe that all you need to do is focus on the ball, goal, or player. But here’s an important question that you need to ask yourself, “What target am I aiming for?” It’s not quite as simple as you may think. If you’re shooting a basketball, the general target is the basketball rim. If it’s the entire basketball hoop, however, your mind’s subconscious targeting mechanism is focused on the ball hitting the hoop. That, of course, is not your real “goal.” You want the ball to go through the hoop! 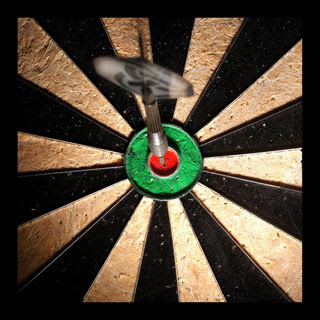 Like a paper shooting target, you need to find and focus on a bulls-eye. Why? Because your accuracy improves when you narrow your focus. You provide your mind with a more exact target. And this, in turn, fine-tunes the mind’s targeting mechanism. You want the target to be as small as possible. Besides triggering a more efficient and accurate targeting response, it also has a side-benefit. There’s more room for error. If you “miss,” you can still achieve your primary objective—scoring a goal or making a pass that your teammate can handle. Here are some examples of targets you can use in different sports. 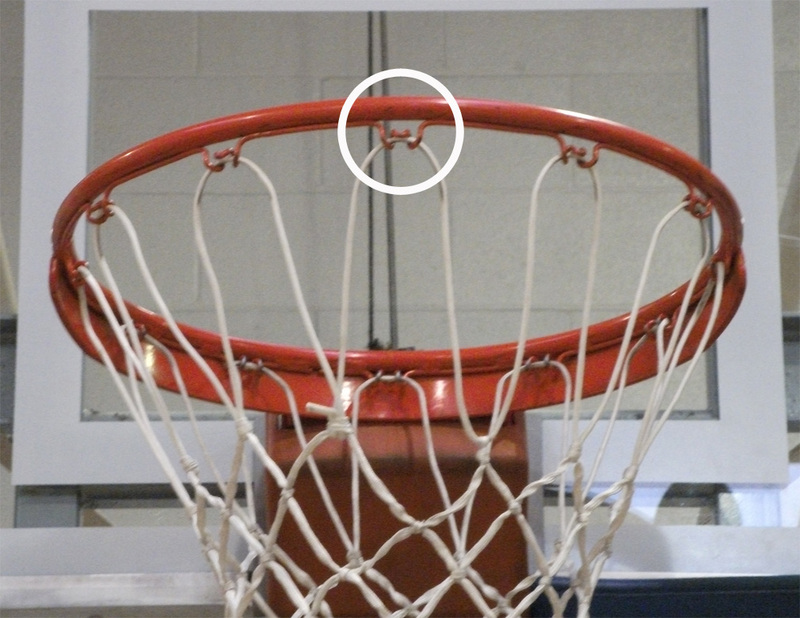 Instead of aiming for that basketball hoop, use one of the hoop’s metal hooks as your physical reference point. Your mind will lock in on the smaller target, and your results will improve. For larger goals, such as those in hockey or soccer, you can use the edges of the goal as your baseline target. You can then create a mental map of smaller imaginary targets slightly inside these edges. In practice, you can use corner targets, shooting tarps, or place plastic cones in the spots you want to hit. ► When receiving a pass, provide your teammate with a target. Extend your hands or glove. Put the blade of your hockey stick on the ice. For passes, also select an appropriate small target. It may be the emblem at the center of your teammate’s shirt or your teammate’s hands. In baseball, it’s likely your teammate’s glove. In hockey, it’s often the blade of a stick. Sometimes the spot you aim for is one located on the court, field, or ice. You may need to pass to where a teammate will be, not where they are now. In a sport like tennis, you want to aim for specific spots on the court. When serving, for example, don’t simply aim for the server box. Instead, narrow your focus and aim for a corner of the box. When Should a Youth Coach Raise His or Her Voice?